One evening on my way home from work I couldn’t help but peek curiously through a shopping window into a brand new violin shop in my neighbourhood and take these interesting pics. This used to be a hairdresser’s/barber shop for as long as I can remember. 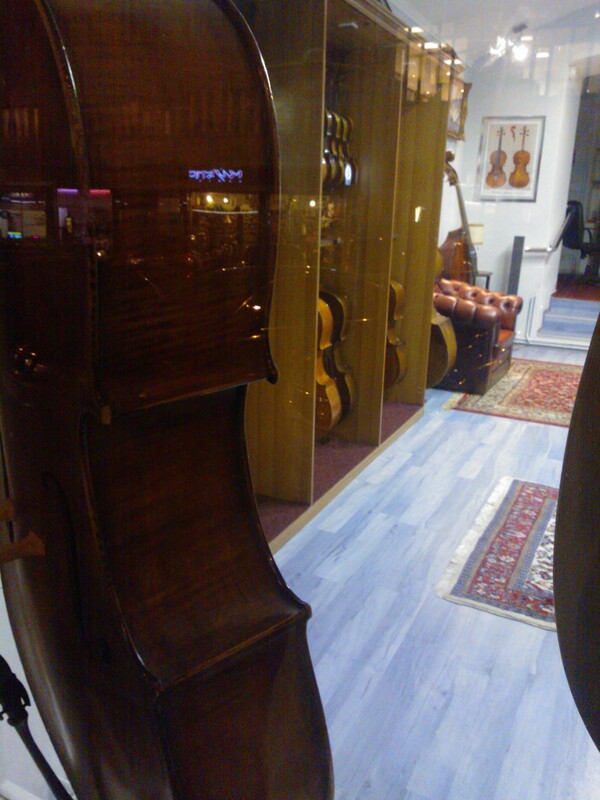 And all of a sudden these beautiful instruments pop up in the windows at me one day. I find them beautiful, although I don’t play myself and only enjoy classical music as an occasional recital and opera goer. 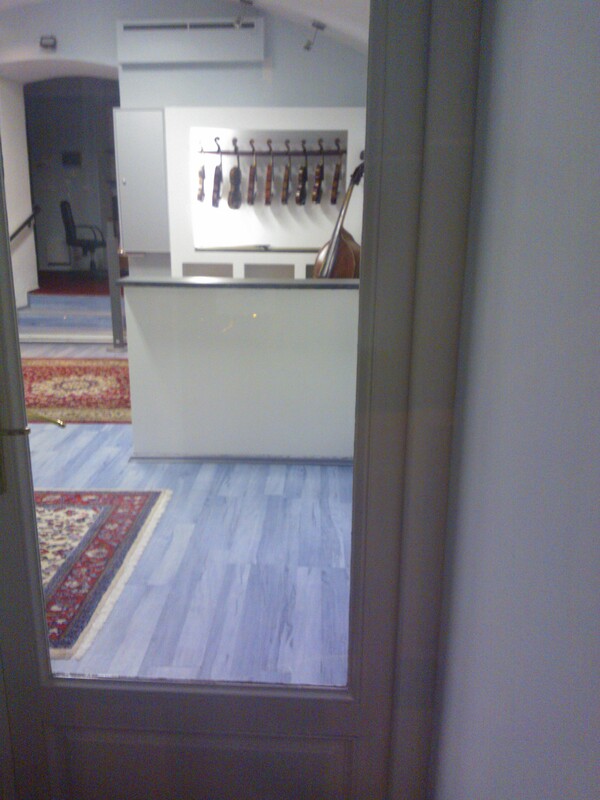 This entry was posted in Art and tagged Classical Music, Czech Republic, Instrument, Prague, Shop, Shopping Window, String, Violin, Window. Bookmark the permalink. They are arranged so nicely! It seems very peaceful in the shop. I’m guessing the person(s) working there are calm and friendly, and also love what they do. Thank you. Exactly. Amongst all the pubs, restaurants, starbucks, clothes and nail shops (it’s a decent neighbourhood but we do get a fair share of them off of the high street, too) this is a pleasantly refreshing change and peaceful, as you say.